In the article, it is noted that the emergence of the phenomenon of interdependence between security and development — so-called security-development nexus, becomes determining during the development of strategic documents at all hierarchical levels. It gives relevance to the search of the methodological decisions allowing to consider the possible threats to economic security at the strategic level, and the pragmatical actions which are not contradicting a strategic vector of economic entities development — at the tactical level. Instability factors which threat the economic security are revealed. A rationale for the development of the new model of national economy development, whose central element is new industrialization, is substantiated. The most important trends of the development of world economy influencing the strategic vector of the increase of the Russian economic security are considered. It is discovered that in the conditions of new industrialization, the intellectual core of the high-technology sector of the economy is formed by convergent technologies (NBICS technology). A methodological approach to the economic evaluation of management decisions in the conditions of uncertainty is offered. The methodological principles, which have to be accounted in the case of the development of the modern methodology for the economic evaluation of economic decisions, are allocated. Among them, there are the development of the preferred reality or so-called «vision of the future», the priority of network decisions as the basis for new markets development; the mass customization and individualization of requirements, basic changes of the profile of competences which provides the competitiveness in the labour market, use of the ideology of the inclusive development and reformative investment creating general values. The offered methodology is based on an optimum combination of the traditional methods of the economic evaluation of managerial decisions with the method of real option, reflexive estimates taking into account entropy as a measure of uncertainty. The offered methodological approach was tested for the development of mining and metallurgy of the Urals. The article emphasizes the importance of the concept of «technical and economic paradigm», which characterizes the certain stage of the world economy development associated with the corresponding technological revolution. The paper reveals the feature of the modern technical and economic paradigm development connected with new concepts determining a priority of general values. The author states the hypothesis that in the conditions of the emergence of the fourth industrial revolution elements (so-called 4.0 industry), it is fair to consider the innovation paradigm of development as the foundation of the new industrialization which preceds this revolution. The author considers new industrialization as the process contributing to the global technological parity of Russia and the countries-technological leaders. The most significant statements from this post of view are allocated: consideration of new industrialization as a process of continuous innovations and distribution of breakthrough technologies, computerization of production, robotization, cross-disciplinary nature of high technologies, the ecology of technologies, intellectualization of the potential of all persons occupied in industrial production, etc. The author analyses strategic documents connected with the development of innovative activities in Russia. The paper emphasizes that the indicators characterizing these activities do not allow to rank Russia as a country having the developed innovative economy. The article reveals the possibilities of the activation of innovative activities in Russia connected to the development of the approved private priorities in the main spheres of activity with the state priorities of social development; with construction of integrated strategy of a scientific and technological, institutional and industrial development of the country; with creation of the system of scientific monitoring allowing to adjust the necessary corrective actions in time. The article emphasizes a dominant nature of the institutional environment predetermining a success of socio-economic and innovative development of national economy. New integrated world economic way is forming in the conditions of the increasing importance of an innovation paradigm. The successfulness of its implementation is determined by a ratio of the inclusive (involving) and extractive (taking out) economic and political institutes. In the article, the authors emphasize that industrial regions play an important role in the increasing of technological independence of Russia. We show that the decline in the share of processing industries in the gross regional product can not be treated as a negative de-industrialization of the economy. The article proves that the increase in the speed of changements, instability of socio-economic systems, the diverse risks predetermine the need to develop new methodological approaches to predictive research. The studies aimed at developing a technology for the design of the desired image of the future and the methodology for its evaluation are of high importance. For the initial stage of the research, the authors propose the methodological approach for assessing the desired image of the future of metallurgy as one of the most important industry of the region. We propose the term of «technological image of the regional metallurgy». We show that repositioning the image of the regional metallurgical complex is quite a long process. This have determined the need to define the stages of repositioning. The proposed methodology of the evaluation of desired future includes the methodological provisions to quantify the characteristics of goals achieved at the respective stages of the repositioning of the metallurgy. The methodological approach to the design of the desired image of the future implies the following stages: the identification of the priority areas of the technological development of regional metallurgy on the basis of bibliometric and patent analysis; the evaluation of dynamics of the development of the structure of metal products domestic consumption based on comparative analysis and relevant analytical methods as well as its forecasting; the design of the factor model, allowing to identify the parameters quantifying the technological image of the regional metallurgy based on the principal components method,; systematization of predicted values of the parameters defining the stages of repositioning and designing the new technological image of the regional metallurgy; the development of mathematical model for the recognition of the technological image of a regional metallurgy on the basis of neural networks. The article proves that the industrial policy is not only an element coordinating the various types of state policies. It is as well a platform, on which the economic policy of the state is built. I systematize five directions representing the traditional approach to understanding the industrial policy and three new directions of its understanding. I emphasize that a new purpose of the industrial policy as the achievement of «an image» of a “good economy”, and that the «standard projects» of regional industrial policy are unacceptable. I define new characteristics of the Fourth Industrial Revolution. Its fundamental features are harmonization and integration of a large amount of research disciplines. This, in turn, imposes high requirements to developing priorities for both the federal and regional industrial policy. Another feature of the Fourth Industrial Revolution is the emergence of the digital economy. I analyse its development in Russia as compared with the developed countries. Moreover, I systemize the studies about the readiness of Russian companies for the digital economy. The information and communication technologies are the most important factor for the digital economy. The analysis of these technologies development in regions showed high level of its differentiation of regional indicators (from 1.5 to more than 300 times). The assessment of the development of information and communication technologies allow categorise the Middle Urals as a leading region almost for all indicators in this area not only in the Ural Federal District, but also in Russia, in general. The importance of new business models as most essential innovations during the Fourth Industrial Revolution has increased. This defines new agents and objects of industrial policy. The results of the research may be used to correct the regional strategy of socio-economic development as well as laws on industrial policy. The article emphasizes the relevance of the digital economy development as one of the most important directions of the fourth industrial revolution. It is significant for a breakthrough in science and technology, social and economic development. I prove that the industrial policy is a reliable instrument for supporting digital economy. The following factors define the priorities of industrial policy: the level of socio-economic development of the country, the existing model of economic development, an image of the country’s future. I consider the evolution of the industrial policy priorities in Russia. In current situation, the essentially new priority is the support of digital economy. I find that pro-active digital economy formulation and management in collaboration of all branches of the government as well as the development of digital economy together with sector programmes and programmes of innovative development, etc. are of great importance. I have suggested steps, which could make the Industry Development Fund to support the new priorities connected with digital economy development. Furthermore, I have developed proposals on adjusting provisions, which define the possibility to apply special investment contracts for stimulating the digital economy development. I have defined the main directions of staffing the digital economy. The article emphasizes that «digital transformation of the industry» radically changes the idea targets and subjects of industrial policy. So-called related industries, as the association of goods, individuals, and technologies within the industrial system, the structures based on such special type of business models as technological platforms and the human needs become a new targets of the industrial policy. During the fourth industrial revolution, a system of interaction between federal and regional authorities and various business associations as well as civil society institutions becomes the main subject of industrial policy. This predetermines a multi-actor character of the industrial policy. The requirements to leaders of the state and business structures have increased. Therefore, their responsibility for preventing negative social and ethical consequences of the implementation of new technology solutions. The article demonstrates the states growing responsibility in making management decision in the context of the world and national economies’ unstable development. Industrial policy is one of the key instruments for implementing managerial decisions. We identified the notions of industrial policy (in a broad sense) and structural policy. Further, we classified concepts of industrial policy according to the scale of regulation subject and the states role in economy. The appearance of a network aspect of industrial policy focused on the concept of digital state (e-state) was noted. 200 years of industrial policy’s evolution demonstrate its constantly growing obligation to be the guarantee of social welfare. Nevertheless, in Russia legal understanding of industrial policy does not include any aspects of social guarantees. Therefore, we analyzed industrial policy theoretical foundations showing the necessity for its reconstruction using a theory of new structural economics. We established premises and tools for the theory’s successful realization. Industrial Development Fund plays an important role in implementing industrial policy’s priorities as a variety of important programs including “Industry digitalization” are financed by this organization. 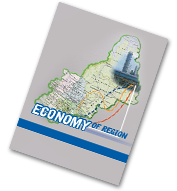 On the level of regional economics, different regional funds are involved in the process of structural transformations.